Home Health Care Policies - On Monday, state officials in New York, Illinois, Massachusetts, and New Mexico filed a case regarding minimum wage and overtime pay for home health workers. A brief in the filed case states that the Department of Labor does, in fact, have the authority to expand these particular wage protections. This comes in spite of the 2013 final rule issued by the Department of Labor that changed the Fair Labor Standards Act (FLSA). The FLSA changes sought to block the ability for home health agencies to claim wage exemptions for employees and would have raised wages for a large percentage of the nation’s home health workers. Many home health workers and workforce advocates praised the act, but it was largely contested by lawmakers and home health stakeholders who felt that it would enforce unsustainable costs. Home care industry interest groups such as the National Association for Home Care and Hospice (NAHC) submitted challenges to the act. 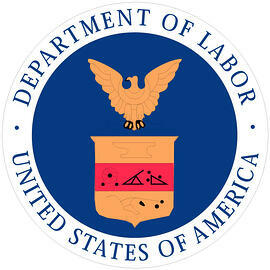 In December, U.S. District Judge Richard J. Leon struck down FLSA. Leon stated that the Department of Labor had exceeded its authority in issuing the act, and that only Congress had the authority to impose such changes as those found in FLSA. An amicus brief filed by the states this week disagree with Leon’s decision and believe that the Labor Department does indeed have the authority to address the home health care workforce. Additionally, the brief also mentions that states do have interest in the rule because of the way Medicaid is currently interwoven within the reimbursement system. Therefore, the DOL remarks that the changes would not impose financially unsustainable changes because states should be given the opportunity to decide whether or not they can find accommodation within their budgets to implement the wage protections.